Advanced design and manufacturing technologies ensure maximum strength for increased clinical performance and patient comfort. All buccal tubes have Direct Bonding Bases. 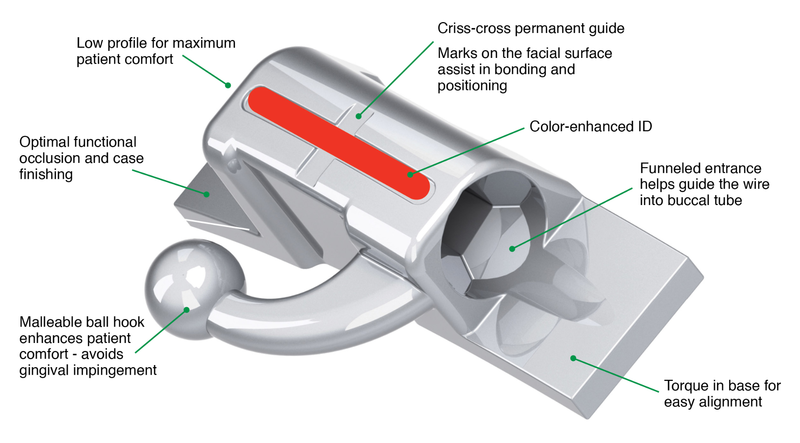 Low profile, compact design reduces occlusal interference and gingival impingement for better hygiene. Allows easier placement of larger wires due to wider slot entrance. Utilized in posterior teeth (1st and 2nd Molars) on the vestibular faces. Buccal tubes are directly bonded to the tooth surface.